Celebrate our 85th Anniversary-Come to the Luncheon April 29th!!! In less than 3 weeks, we will host our BIGGEST event of the year: Our Spring Luncheon to raise funds for Scholarships and to celebrate and support our Club’s wonderful legacy of EMPOWERING WOMEN for 85 years!! 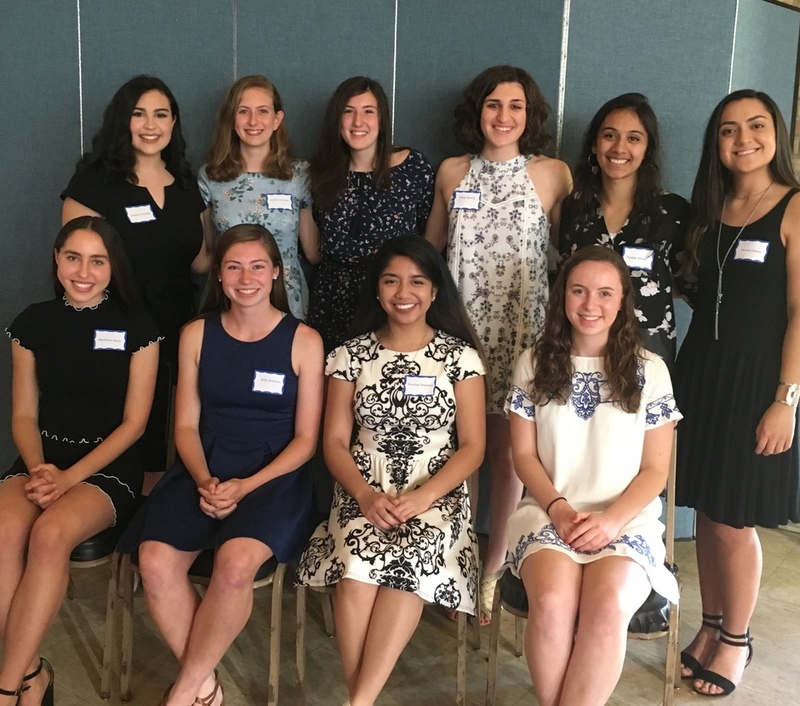 !You should all be very proud of how this Club has made a difference in the lives of many local Fanwood and Scotch Plains young women. What a FANTASTIC accomplishment! Over the next few weeks, please make your last push to sell luncheon tickets (we still need to sell 25), to sell our 50/50 raffle tickets and ShopRite gift card raffle tickets and to sign up to help the day of the event. Many hands will make light work. This past week, I attended the celebration of Douglass College’s 100th Anniversary (1918-2018) with a book launch about the college. It was very fascinating to hear from the 3 authors how the College and specifically the Deans had to navigate changing times, to be creative and strategic to maintain the College’s identity and mission through difficult times, whether it be due to the politics of the day or the mindset of education for women: World Wars, Great Depression, Anti-war protest in the 60’s, demands for equality and women’s rights.Douglass has survived and prospered as a Women’s college against adversity to ultimately become known as a premier women’s college that has excelled in its support of women’s leadership, careers in STEM and global diversity of the students and faculty. I can just imagine that our College Club has had similar challenges over the past 85 years and we are “Stronger Together” and we need to continue to support our mission, to encourage new members to join and to help us make a difference in our Community via the monthly programs-educational, fun, and enjoyable; our community outreach and support of local young women’s education. Whenever I tell colleagues about our Club, they are so impressed with how much we do and give to others - the largest amount of local scholarship money every year ($30,000 will be given out by the Club this year).Wow! - That is impressive for a small group of dedicated women and just think what we could accomplish with a few extra members; bigger aspirations and goals lie ahead. My thanks to all of you for contributing every year so we can accomplish our goal! Now let’s celebrate on April 29th and have a good time! A BIG “shout out” to our APRIL program “KEEP THIS TOSS THAT”.A local SPF graduate Jamie Novak known for her de-clutter and spring cleaning tips has been on TV /QVC sharing her secrets and now we get to hear her firsthand on April 23rdat Union Catholic High School! Come and bring your friends! I would like to say that you have make quality post. I am really impressed by this post. Thank you for sharing great information to us. Your blog is really cool and great. i am glad to read your blog.its really impressive and good.i am glad to read your blog.thanks for sharing the nice and cool blog. I really enjoyed read your post such a great post i love it, we should talk such a different topic that's good idea great job keep it up! Visit us: Keep on it keep posting. The content included in this great post is really informative, thanks for sharing the valuable and great post. It contain a lot of interesting information. I have some confusion in it so i surely visit this website again to get more blogs here related to this.